You are eating a piece of ice or hard candy and suddenly you notice a hard thing in the mouth, which doesn’t dissolve or melt. You get sick when you realize that this hard thing is a broken tooth. Though your teeth are covered by enamel, which is the hardest and the most mineralized substance in your body, it has limited strength. Falling, biting something hard, especially if your tooth is already decayed or getting a blow to your face may cause your tooth to break. In case you find your tooth is broken, you should not panic. How to Fix a Broken Tooth at Home? If you are wondering whether you can fix your broken tooth at home, then the answer to this question is No. You are required to visit a dentist straight away in case you suffer from cracked, broken or chipped tooth. It’s not a great idea trying to repair a cracked or broken tooth at home by yourself. Following are 2 common mistakes people do to fix their cracked tooth and also find out why it is a bad idea to attempt doing it by yourself. Grinding the Rough Edges of a Cracked Tooth, Why Is This Bad Idea? The enamel is a very hard substance; hence, you would be unable to smoothen the roughened edges using a nail file or sandpaper. Even if you are able to, it is not a smart idea. First, you may end up losing more tooth than was broken in the beginning. Second, you may introduce bacteria in the dentin that may result in a tooth infection needing root canal. More powerful grinding tools such as mini rotary tools multiply these risks many times. You may be successful at smoothening out the edges of your broken tooth, but at the same time you expose your dentin to harmful bacteria. Additionally, you are increasing the risk of serious injury to your mouth in case the tool gets slipped away in the process. So how to fix a broken tooth at home? Well, this is not a good idea. DIY Extraction of the Tooth, Why Is This Bad Idea? Tooth extraction is a serious medical procedure, which requires you to be put under local anesthesia. In case you try to extract a tooth by yourself, you could damage your mouth badly. Apart from the pain and damage to your mouth it can cause, extracting a tooth by yourself can pose a choking hazard. In case you inhale or gasp while pulling the broken tooth out of the mouth, you may aspirate it into your respiratory system. This may lead to choking and also laceration of the windpipe. You should not take the risk, particularly because your tooth may actually be saved by your dentist. How to Give Emergency Self-Care with a Broken Tooth? If you can’t reach to a dentist at the moment, follow these tips for emergency self-care. 1. Save the piece of the broken tooth in case you have it. Your dentist may be able to attach that piece; hence, you should keep it with you. Place the piece in a box with saliva or milk so that it doesn’t rot. Take it with you while visiting the dentist. Don’t try to reattach broken piece of tooth on your own as it may not work and may result in severe pain. 2. How to fix a broken tooth at home? Rinse your mouth often using salt water. Your mouth has large number of bacteria in it, which can infect any injury. To prevent infection, rinse your mouth often using salt water. Mix one tsp of salt with one cup of lukewarm water. Swish this mixture in your mouth for around 30-60 seconds. Do not swallow the rinse. Repeat after meals. 3. Take OTC pain killers to help relieve pain. You may suffer from severe pain if your tooth is damaged badly. You can take over-the-counter pain killers such as ibuprofen (Advil and Motrin) to relieve the pain. Ibuprofen products also help in relieving swelling. You can also take acetaminophen (Tylenol) if you cannot get ibuprofen easily. 4. Use dental wax to cover sharp edges of the broken tooth. This will prevent cutting your gums or tongue. Dental wax is available at most pharmacies. You can also use a piece of chewing gum (sugar-free) to cover the jagged edge of the broken tooth. How to fix a broken tooth at home? Eat soft foods. The broken tooth is weak and may get damaged further by eating hard foods. Hence, eat soft foods such as pudding, oatmeal and soups until your dentist fixes the tooth. Avoid eating hot and cold foods. The broken tooth is sensitive to extremes of temperature, so very hot and cold foods may cause pain. Eat food served at room temperature to prevent any problem. Try and eat on the side of the mouth that is unaffected. Avoid chewing on the side of the broken tooth as it may cause further damage to the tooth and pain. How Is a Broken Tooth Fixed by a Dentist? 1. Contouring the tooth. 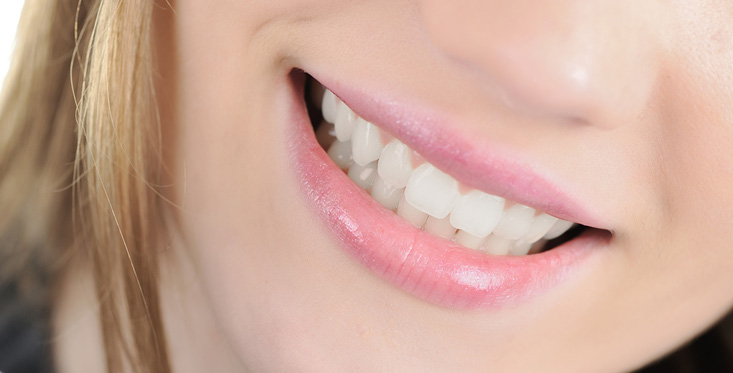 The dentist may opt to contour the slight chip or crack in your tooth. During contouring the crack is shaved and polished to smoothen it so that it does not cause any abrasions or cuts. This procedure involves only a single visit to your dentist and minimal pain. 2. Filling the crack. If an opening has been left in your tooth by the crack, then the dentist will choose to fill the crack like a tooth cavity. During this procedure a filling material such as plastic or silver amalgam is used to fill the crack in your tooth. This filling will help in preventing anything from sticking into the crack and making it bigger. 3. Placing a crown on the tooth. In case the crack on your tooth is large, your dentist may use a crown for repairing it. Crowns are made of ceramic or metal and they are so designed that they mimic the strength and appearance of a tooth. 4. Having a root canal. In case your tooth is damaged badly, exposing the pulp or nerve, your dentist may do a root canal therapy to save your tooth. They will disinfect and clean the inside portion of your tooth so that infection can be prevented. After a root canal, a crown may be placed on the tooth to protect it. 5. Having extraction of tooth. In case of severe damage to the tooth, your dentist may have to extract it. Extraction is usually required when the crack extends below gum line and your dentist can’t reach there to repair it. In such cases, the best option is to extract the tooth so as to prevent infection and relieve pain. You should ask the dentist regarding options for replacing extracted tooth. Do Banana Peels Whiten Teeth? What Causes Red Spot on the Roof of Your Mouth? Do Cavities Cause Bad Breath?